When Canon announced the 600EX-RT, there was a lot of excitement about the transition from infrared remote control to radio based remote control. There was also a lot of consternation because most all reviews created the impression that there was no real backward compatibility if you had invested in the older remote technology. Certainly Canon's focus today is on radio with a replacement for the 430EX II expected this fall to go with the 600EX-RT. There has been little to no discussion of any option other than radio control. Yet explained in the manual are the instructions to use a 600EX-RT as part of a larger infrared remote system. 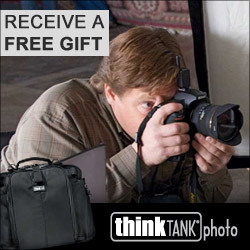 The 600EX-RT can work as either a Master or a Slave in a Canon Creative Flash System structure. While radio is the default, optical services do work when you select them. You can select the optical options through the flash, although in my own testing, that mode was inconsistent in operation. When I tried to make the settings work using the 600EX-RT on a 5D Mk III and a 430 EX II as a slave, I was unable to have the ready light display and have the flash fire more than once. When I got home and tried this with the 600EX-RT on the 1Dx and a 580EX II as a slave. This time I tried using the External Speedlite control menu to configure the 600EX-RT for optical remote Master mode. It worked flawlessly and in my opinion making the settings on the camera rather than on the flash is faster and simpler than navigating Canon's menus. As with any other decently powered hot shoe flash, don't even think about running the unit on alkaline batteries, unless you have direct access to a truck full of batteries. You'll be happiest when using rechargeables, and my recommendation is to use batteries of at minimum 2100ma current capability, 2700ma for preference. I also noted that the flash head is larger than the 580EX II so if you like keeping a Sto-Fen diffuser on the flash head as a matter of course, your old ones won't fit, you'll need to buy the new model. 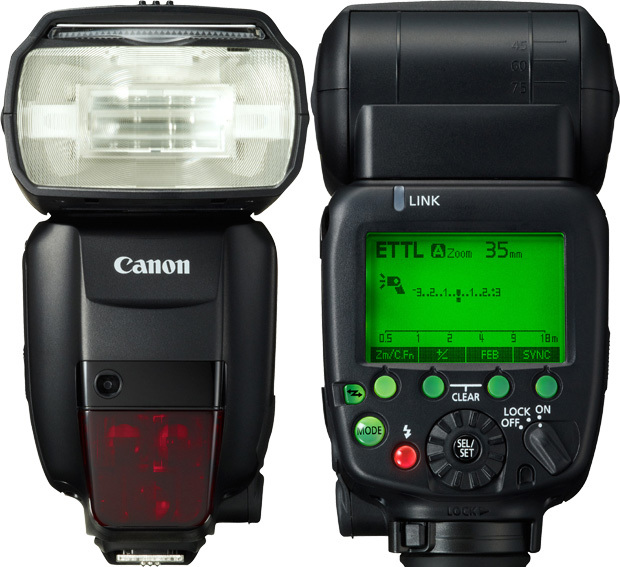 If your Canon DSLR does not have a built-in flash, you could either use a Speedlite as the shoe mounted Master (with or without contributing flash power) or the ST-E2 optical controller. You can use the ST-E2 as a transmitter to the 600EX-RT if you configure the flash as an optical slave and set the correct groups and channels. So again you have some backward compatibility with the new flash. However if you go with Canon's new ST-E3 transmitter, forget about using it with anything other than a 600EX-RT as it is wireless radio only. Since the ST units are basically flashes without the flash head, limiting the ST-E3 to radio only at its very high price is disappointing, fortunately the 600EX-RT is not similarly crippled. So if you've been disappointed by the disappearance of the 580EX II from shelves or been misinformed about the optical capabilities of the 600EX-RT, now you know. The initial higher prices on the 600EX-RT are beginning to level out and as at this writing they are selling for around $600 in Canada.